Originally from the Caribbean islands of Trinidad & Tobago , Roger Da'Silva brings that South American/Caribbean feel to his production. "I grew up in a musical environment, every day a family member would be playing Pan(Trinidad musical instrument) Trumpet, Piano and so on." Roger grew up listening to Calypso rhythms, gaining an understanding of how small changes in a piece of music can change the musical mood. 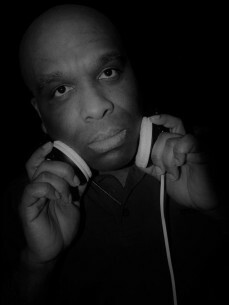 It was later in to his teenage years, he moved to the UK and had his first taste of soulful house music. "I remember hearing David Joseph - You Can't Hide and thinking what a wonderful time to be alive.SL2 - on a ragga tip, fusion of 2 different styles need i say more." His DJ career started in 1993 doing a Soul night at a local Bar. 24 years later he still has the same passion when playing out.